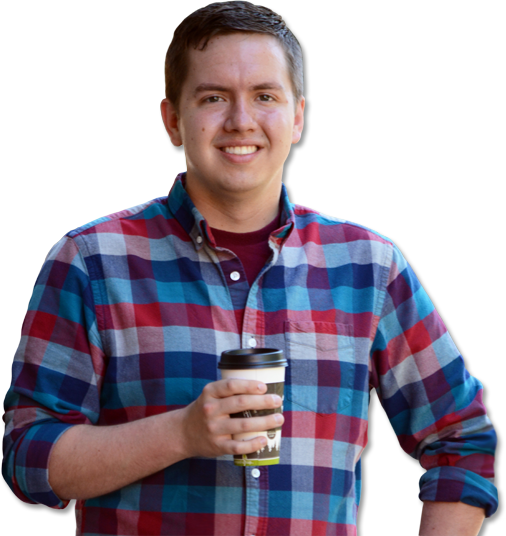 My name is Hayden LeMaster, I’m a professional graphic designer in Bellingham, WA. I graduated from Western Washington University with a degree in business/marketing and love to help businesses build relationships, expand offerings toward returning customers, and bring in new clients. Whether you’re a brand-new startup or a multinational corporation, I’m happy to talk to you about how I can help you attain your goals in an efficient and affordable way. A bit about me – I started learning the fundamentals of graphic design in 2006 as a high school freshman, teaching myself the basics on an introductory copy of Adobe Photoshop. I never stopped teaching myself – and for the past 12 years have been gaining experience and learning everything I can about design techniques and design software. With every project I take on, I apply two separate focuses simultaneously; design, and marketing. First, there’s the design objective – making the project look good. It needs to be eye-catching, but also needs to convey a relevant personality from your brand. Then, the marketing objective, which is the “action” part of the project – who is going to see this ad? What do they want to see, so we know how to catch their eye? Do these customers want more “fun”, more “professional”, or a combination of the two? Who are your primary and secondary markets, and what do they want to see? What do they know, and what do you need to teach them through these marketing materials? Which design elements can attract new customers, while staying familiar to your current loyal customers? The design that answers these questions is the design that will bring in new (and returning) customers, business relationships, and sales. If you’d like to learn more about what I do, please take a look at my work portfolio, as well as some testimonials from my clients. And feel free to contact me with any questions! I will gladly provide a free quote for any project, large or small, with no purchase obligation behind it. If you’re local, I’d be happy to meet for a cup of coffee and discuss your design/marketing needs, and how I can help – and if you’re not here in Whatcom County, we can easily set up a phone meeting to discuss what I can do for you and get you a price estimate. I look forward to hearing from you, and helping to grow your business and your brand.